Online Linux Terminal or emulator is the best way to practice or learn Linux commands without having a full-fledged Linux subsystem. There are no of online Linux Terminals and bash scripts available in the market which let you run various shells, scripts, and commands to test or analyze the results. If you have a system other than Linux, then to learn about the core of any system or test scripts, analyze compilation time, etc., online Linux Terminal and Bash Script editors will help you out from this situation. You might be confused to choose the best one as per your requirement. So which one should you use as best Linux terminal emulator? To help you get the best one, I have made a compilation list of online Linux terminal and bash editor for learning or running a quick test using your desired Linux commands and scripts. 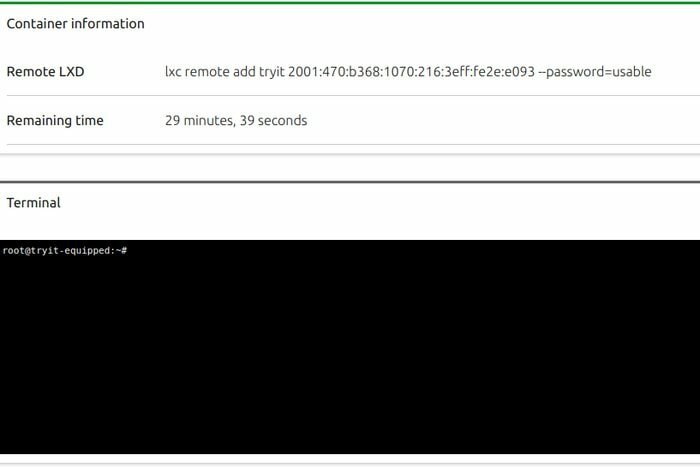 Though Codeanywhere is a paid service, still it provides a free plan with a Linux virtual machine where you can set up a container with an OS at your choice. If you choose Linux, then you will have a Linux console on your lap for learning commands. 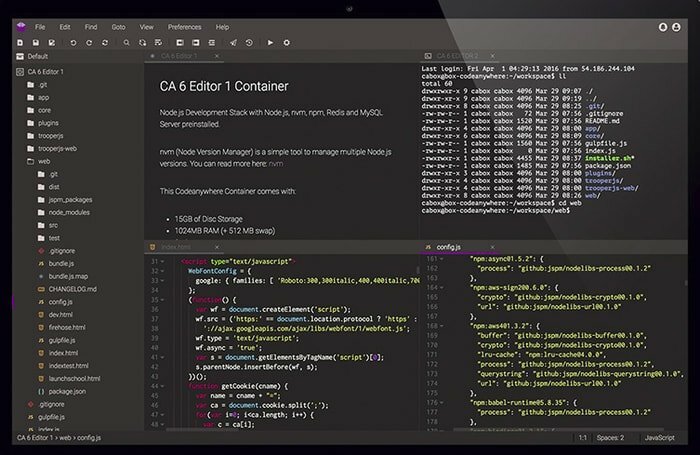 Moreover, If you are keen to get an online integrated cross-platform cloud IDEs, then Codeanywhere will be the best place to start with. Like Webminal – Online Linux/bash terminal, Learnshell is an online integrated interactive environment where you can learn shell programming and code editing at the same time with Unix/Linux shell interpreters. Rextester is a simple, lightweight and reliable online bash editor and compiler. It also supports other major programming languages. Linux Containers project is backed by Canonical and considered as one of the best online Linux Terminal which provides a demo server for 30 minutes to learn the basic Linux commands. Webminal is an impressive online Linux Terminal when it comes to teaching the Linux commands and scripts to beginners online. It’s a free GNU/Linux Online Terminal learning platform about practicing commands, creates and access MySQL tables, writing shell and bash scripts, learning Python programming, and performing root user tasks. Copy.sh is another best online Linux terminal available out there for testing and practicing Linux or Unix based commands. It’s lightweight, blazing fast, and reliable which is actively maintained in GitHub. Copy.sh supports various platform including Archlinux, FreeDOS, KolibriOS, Windows 98, Windows 1.0, ReactOS etc. CB.VU is a Unix-like virtual shell command line interface where you just try out the Linux commands and get the output. Here’s nothing fancy or bloated with some extra features that you don’t require at all. 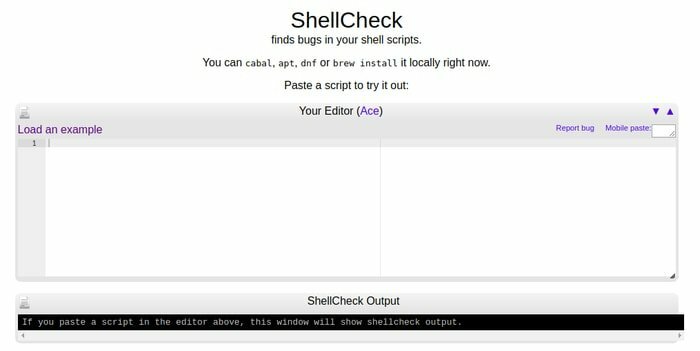 ShellCheck is an amazing online bash tool that gives warnings and suggestions for bash/sh shell scripts. It’s well maintained on GitHub and supports all the major OS platform including Debian, Arch Linux, Gentoo, FreeBSD, OS X, Windows, etc. Paiza.io is a useful website where you can practice various coding and scripting languages including bash or shell scripting for free of coast. It also offers an online Linux Terminal on its cloud platform. LinuxZoo is an interesting and resourceful online terminal emulator where you can learn and practice basic Linux commands. It’s a python based online Linux terminal primarily targets novice learners. In addition to practicing Linux basic commands, you can also experiment and check performance rich games in LinuxZoo. JDOODLE is yet another online cross-platform cloud-based IDEs collection hub. If you are searching an online bash editor, then you must try JDOODLE online bash editor. You can execute various bash scripts and get the output instantly. If you are looking for any online Linux terminal or Unix terminal online, then you might be heard about Tutorialpoint coding website. It’s a one in all coding and commands online practice hub where you get all the resource on about 75+ programming languages and more. You get Unix terminal online, Ipython terminal online, MySQL terminal online, online Linux Terminal, online LaTeX editor and what not, you named it. As you know that Gnome Terminal is a well-integrated terminal emulator for the Gnome desktop environment. Still, it has a cloud version on rollApp where you can practice Unix shell and Linux commands. 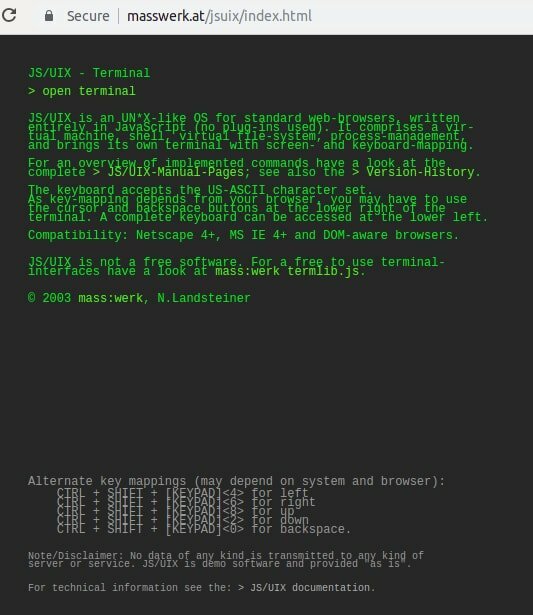 Is this article on Online Linux Terminal helpful? Though this content deals with virtual terminal Linux, I have also included some useful online bash editors for fulfilling your learning enthusiast mind. To get the best one, feel free to use some of them and see which one fits as per the requirements. Note: All the online Linux Terminal emulators described here support all modern web browsers including Google Chrome, Mozilla Firefox, Opera, etc. I might have missed any of the best online Linux Terminal, or online bash or shell editor which you may think should be listed here. Let me know in the comment below. Thanks for visiting UbuntuPIT.com. Hope to see you again.